I never had any aspiration to learn to drive, and after not making much progress with a different instructor, I took a break from driving. 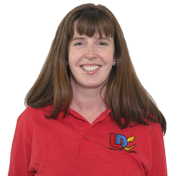 I then decided to re-start and contacted Siobhan's LDC Driving School. I could tell on the phone that she was warm and friendly, and after meeting with her prior to starting lessons, I knew she was the right instructor for me. She was always extremely patient and always made me feel at ease while we were in the car. I chose to have 90-minute lessons and, by following the LD Workbook, I could always see and feel myself making progress. Siobhan always arrived on time and made the lessons enjoyable. 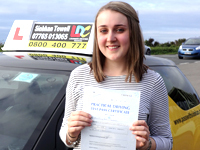 Previously I always dreaded my driving lessons, but with Siobhan I looked forward to them. She always listened to any concerns I had, and would go out of her way to reassure me. I have already recommended Siobhan to my friends, and would 100% recommend her to anyone who is feeling nervous about driving. Thank you Siobhan for giving me the confidence to drive – I couldn't have done it without your help and support!